Animals from dissimilar communities form close relationships that spectacular news coverage toys with, but we actually know very little about inter-species relationships. Affective relationships of friendship, bonding or caregiving between very diverse animals tend to cross a number of assumed boundaries concerning scale, species, time and place. Many times these relationships transgress vast ecosystems and ages—for example, Owen, a baby hippopotamus, orphaned by the 2004 tsunami, attaches to Mzee, an ancient, 130 year old giant tortoise—and they cross ‘normal’ relations for example when a predator cares for what is typically one of its prey animals. What does this tell us about interanimality and ethics? Often these relationships are witnessed in sanctuaries, where humans are caring for and rehabilitating wounded animals. There is so much more we never see or attend to. Anthropologist Barbara Noske’s initial work on feral children elucidated what is lost when we ignore the scope of inter-species relationships. Are they acts of random kindness, alliances of solidarity, or expressions of care and compassion that build into friendships? What is lost, gained and/or transformed in the processes? This brief talk will examine aspects of empathy and compassion between animals, a nascent political ecology of interspecies relationships. I engage feminist interspecies dialogical ethics and praxis to ponder what this may mean for critical human-animal studies. Leesa Fawcett lives beside the Nottawasaga River, along the spine of the Niagara Escarpment in Hockley Valley, with a varied assortment of rescued, wild, companion and feral Beings. She forged the study of critical human-animal studies at York University. She teaches courses in animal studies, environmental philosophy and advocacy, environmental education, children’s studies, and natural history. Current projects include a multi-year, collaborative study of human-wildlife encounters in the Greater Toronto area, and research on inter-species friendships and empathy. 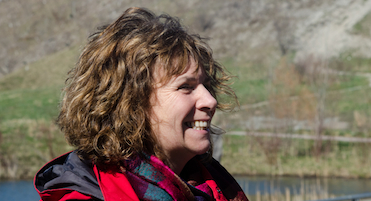 Leesa is an Associate Dean, and in the Faculty of Environmental Studies at York University in Toronto, Canada.